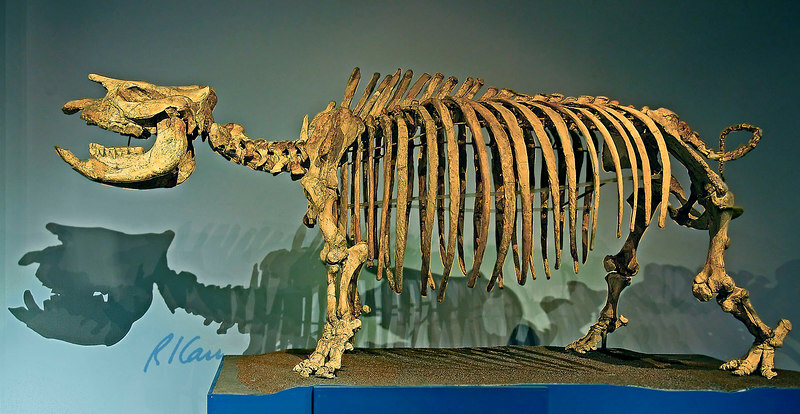 Prehistoric animal skeleton: Short-legged rhinoceros, Teleoceras, Late Miocene, 8 million years ago, Ogallala Group, Kansas. Los Angeles County Museum of Natural History. January 2006.